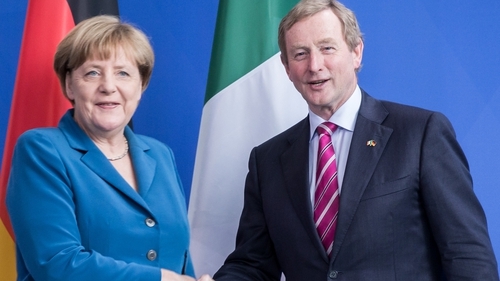 Taoiseach Enda Kenny and German Chancellor Angela Merkel have said they expect Britain's new government to quickly define its relationship with the EU after Theresa May becomes prime minister. The European Union could not put forward any proposals on the two sides' future relationship "until it's clear what the strategy from Britain would be," said Mr Kenny following talks in Berlin with Ms Merkel. "In other words, what does Britain want, having made the decision to exit from the EU, and at what stage will a British prime minister trigger Article 50?" he asked, referring to the treaty procedure to leave the EU. "Would that be a prolonged period - which I would not favour - or would it be after a short time when the new prime minister would have assessed her strategy, having consulted with her parliament and party and defined the strategy that she feels is appropriate?" he added. Ms Merkel expressed similar hopes for a quick resolution after it became clear that Mrs May would succeed David Cameron tomorrow. "The United Kingdom will need to quickly clarify how it wants its ties with the European Union to be in future," she told diplomats late last night ahead of the talks with Mr Kenny today. Ms Merkel reiterated that it was now up to London to formally trigger Article 50 to leave the EU following last month's shock referendum backing a "Brexit" or British exit from the EU. Ms Merkel said free movement of people in the EU and the Common Travel Area between Ireland and the UK are major issues for Ireland in the wake of the Brexit vote. 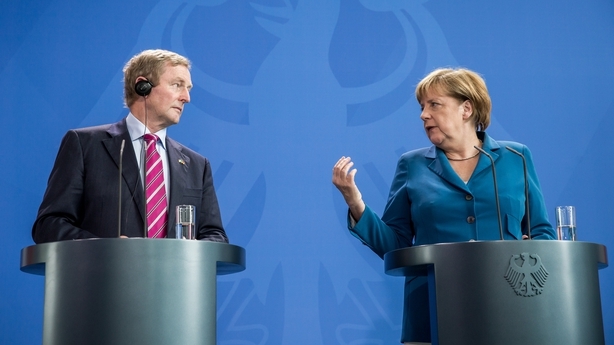 Speaking after her meeting with the Taoiseach, Ms Merkel said she was aware that the Common Travel Area (CTA) had existed since 1922, and was very important for Ireland. 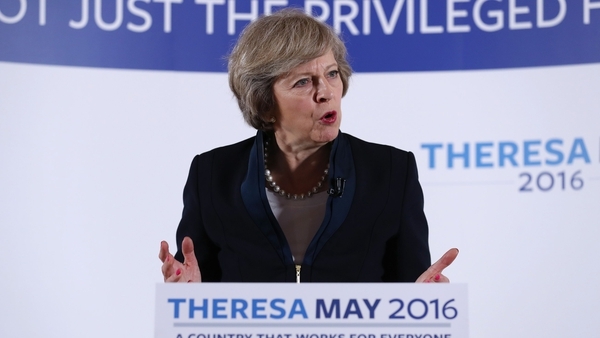 But she said it remains to be seen how the issue will play out in the formal negotiation on the terms of Britain's departure from the EU. Asked if Ireland had a special case in the negotiation because of the Common Travel Area, Chancellor Merkel said: "Of course I cannot anticipate the outcome of the negotiations - but one thing that is sure is that the 27 will bring their influence to bear on the drawing up of the document for Britain's departure, and Ireland's voice will be heard as much as any other member state"
She also noted that Ireland, like the UK, is not a member of the Schengen passport-free travel area in Europe. Ms Merkel also underlined that Britain's access to the EU's single market depended on respect for key principles including the freedom of movement of EU citizens - a point that Mr Kenny likewise stressed. 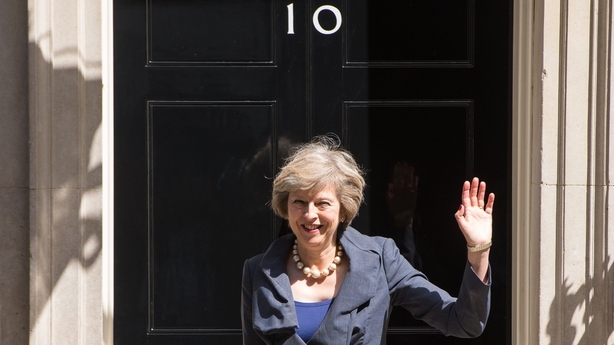 Mrs May has said immigration controls would have to be included in any deal for Britain to access the EU's single market. Underlining the political repercussions of the Brexit vote for Ireland, the Taoiseach pointed to the Good Friday peace agreement in 1998. Mr Kenny spoke at length about Northern Ireland and the key role in building and maintaining peace that the EU has played. He said there are some €3 billion in EU funds due to aid post conflict work in the north and the border counties due between now and 2020. Mr Kenny said that peace in Northern Ireland is, for his Government, a "central part of the negotiations", and he wants to make all of his European colleagues aware of that. He said it is vital that a way be found for Ireland, the UK and the EU to continue to work as closely as they had in the past in maintaining the peace process. The Taoiseach also stressed the large amount of trade done between the UK and Ireland - more than €1.2 billion a week - and he said the Irish Government did not want to see an EU border stretching from Dundalk to Derry. Although he acknowledged there are problems with documenting the movement of goods between EU states and non-EU states, which the UK will become. "We have a situation in the North where the executive and assembly are now functioning very effectively. We work as a government in Ireland with the executive in Northern Ireland on a very regular basis," Mr Kenny noted, adding that "it's a fragile entity that cannot be taken for granted". "It's a central part of the negotiations and discussions that will take place irrespective of the outcome of the Brexit decision," he said, stressing that "we want that to be able to continue". Chancellor Merkel said that Germany exports about 800,000 cars to the UK each year and is also keen to avoid trade and economic disruption. She said: "We have the same objective to make sure that our economies are not hard hit by the decision of UK citizens - we want to keep the economic impact as a small as possible for all of us." The outcome of the UK referendum was also on the agenda when Minister for Foreign Affairs Charlie Flanagan held talks in Dublin this morning with his Italian counterpart, Paolo Gentiloni. This afternoon, Mr Gentiloni will address a meeting of the Institute of International and European Affairs think-tank on Europe post-Brexit.